Earn $32.36 in VIP credit (3236 points)What's This? 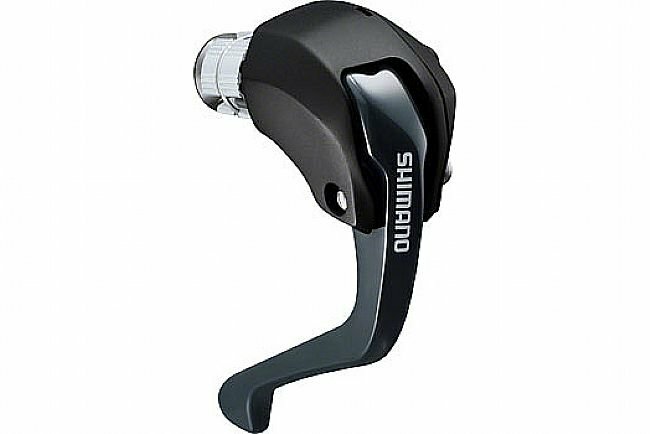 By eliminating the switch box of the ST-6871, Shimano’s Ultegra Di2 ST-R8060 TT/Triathlon Levers are lighter, smaller, and more aerodynamic, delivering the next level of rider control and aerodynamics for time trials and triathlons. A single button on each side of the lever and synchronized shift enables intuitive and controlled shifting. Reach adjust allows further cockpit optimization for each rider. These levers comes with BC-R680 brake cable/housing set. Firmware update by E-TUBE PROJECT. Single shift button per side for Synchro Shift use. Includes pair of brake/shift levers & BC-R680 brake cable/housing.